The new motorcycle dating app can be used in conjunction with the Biker Kiss website, which means the app already boasts thousands of biker members from the BikerKiss at the very start. Besides, the dating app includes a new search feature, gorgeous profiles surface, real name chat and much more features. And one of the most unique features of the app is that it will notify you when someone views your profile or someone sends you a message or a wink. This feature allows biker members to keep an eye on their accounts and get contact with their potential biker matches who are interested in them wherever they are. You can use the app on your smart phones when you are on the move but with a full and more in-depth experience than you are using the desktop version. Except for the great number of features on the desktop version, the new dating app also provides much more new features for its biker users, such as personalizing profiles with a cover photo and image, selecting a number of character traits to express their personality to other bikers and so on. 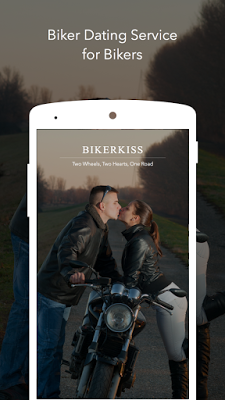 Biker Kiss is glad to offer this new dating app to its biker members which is a great tool for any single biker who is looking for a perfect biker dating experience online.